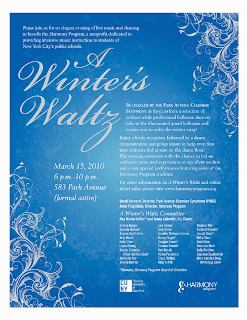 Harmony Program, a nonprofit that provides daily after-school music lessons to children in NYC public schools is holding a benefit where the Park Avenue Chamber Symphony will play waltzes as professional ballroom dancers light up the dance floor, providing a demonstration and group lesson. If you love dogs, not hot dogs but real doggies, then you’ll really love the Barking Dog Luncheonette, as the décor features everything with a dog on it. The food, is your regular diner fare with plenty of burger, sandwich, and hot plate options. Grab a drink and feel like you were transported to the late 1800’s at The Auction House. With ornamental red velvet couches, exposed brick walls, and vintage chandeliers, this hidden gem of a bar is cozy. Beautifully designed, Uptown Lounge is a bar and restaurant serving American fare like Apple Peppercorn Pork Chops ($18), while being big enough to stick around afterwards for drinks.